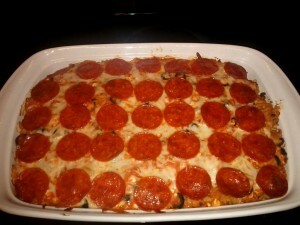 Tonight I made Pepperoni Casserole for dinner. I’m not huge on pepperoni, but the husband is, so I made it. I thought it was actually pretty good and he loved it. However this made waaaay too much food for just the two of us to eat. We ended up leftovers for a long time. Preheat oven to 350 degrees F. Lightly grease a 9×13 baking dish. Bring a large pot of lightly salted water to a boil. Place pasta in the pot, cook for 8 to 10 minutes, or until done, and drain. In a skillet over medium heat, cook the sausage until evenly brown. In the prepared baking dish, mix the cooked pasta, sausage, and pasta sauce. In a bowl, mix the cottage cheese, olives, and mozzarella cheese. Spoon the cheese mixture over the sausage and pasta mixture. 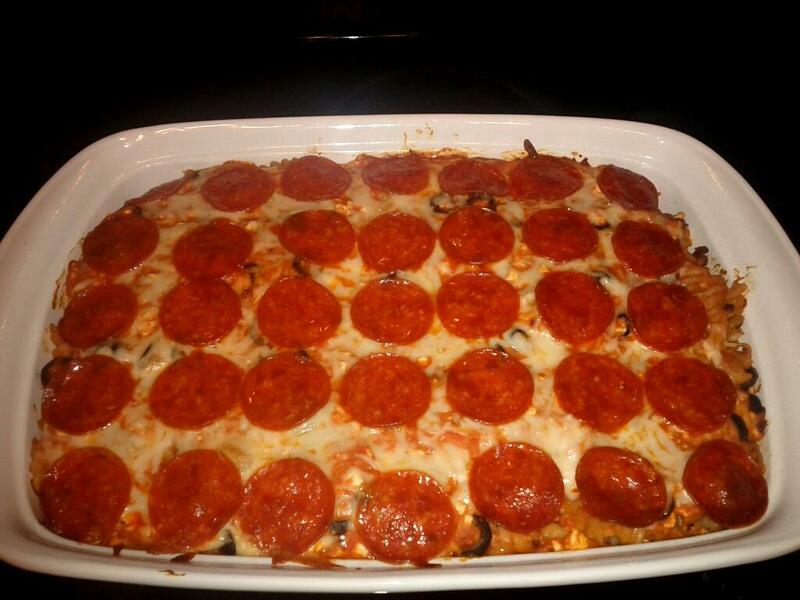 Top with pepperoni slices. Bake 25 minutes in the preheated oven, until bubbly and lightly browned.